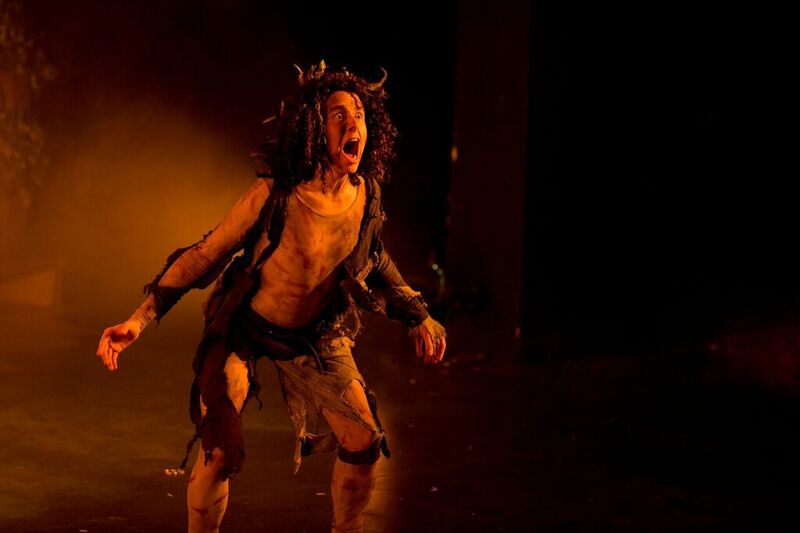 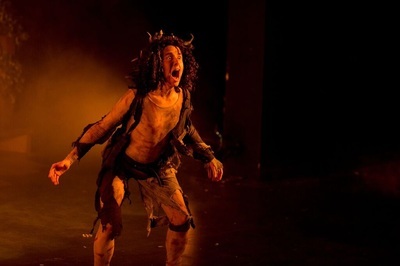 A new adaptation from Britain's National Theatre grabbed director Desmond Price as the perfect vehicle for the university's students. 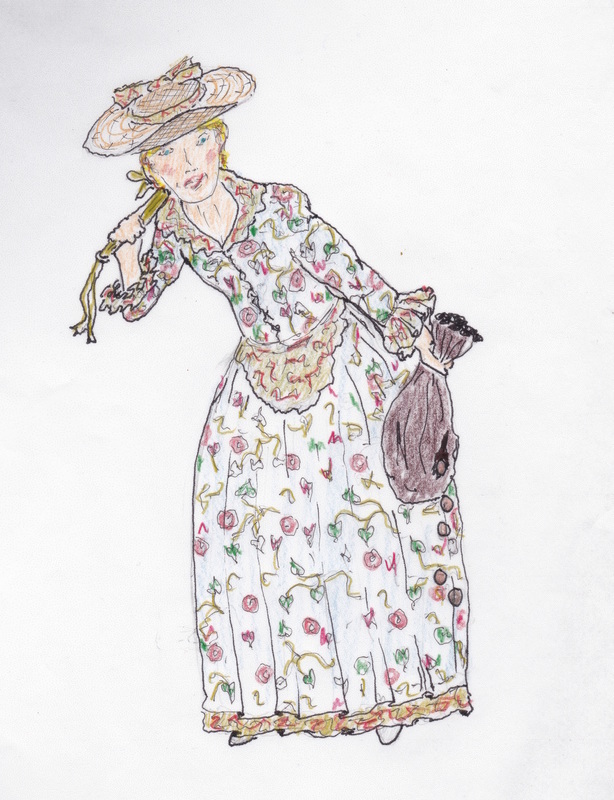 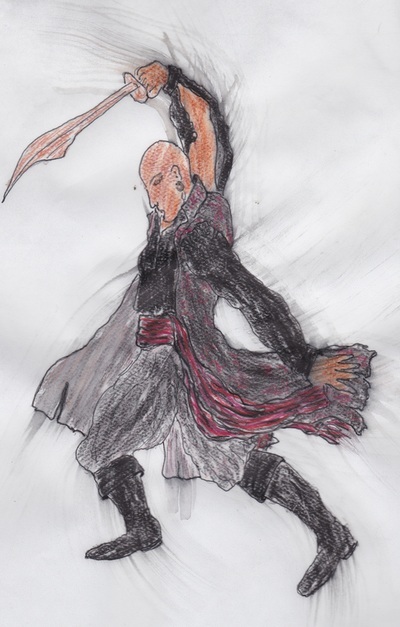 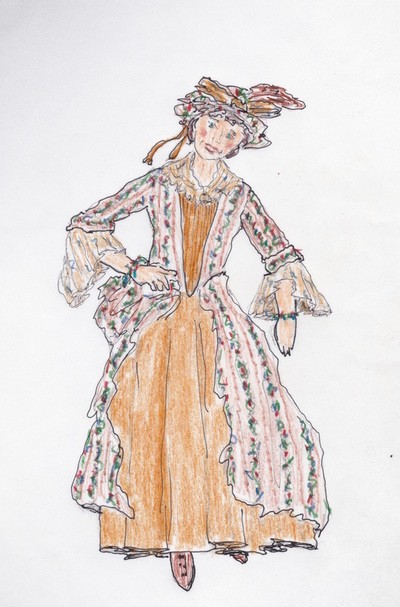 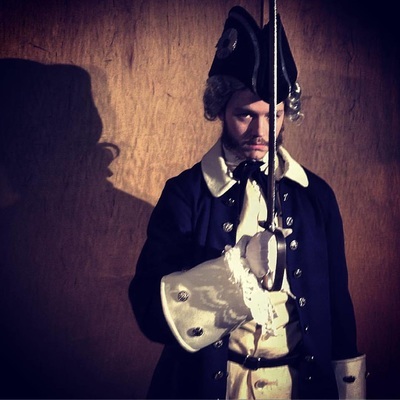 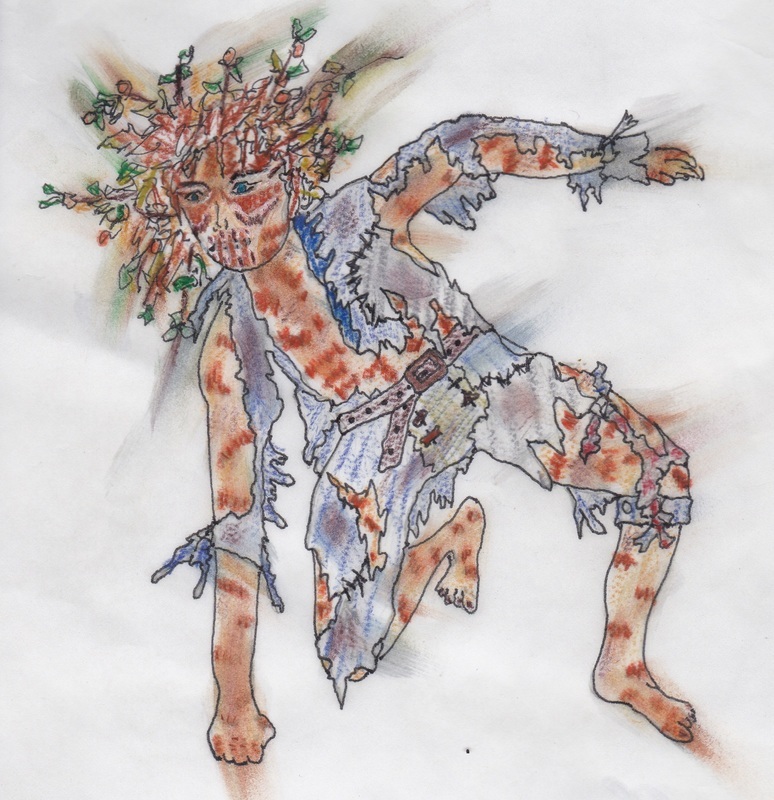 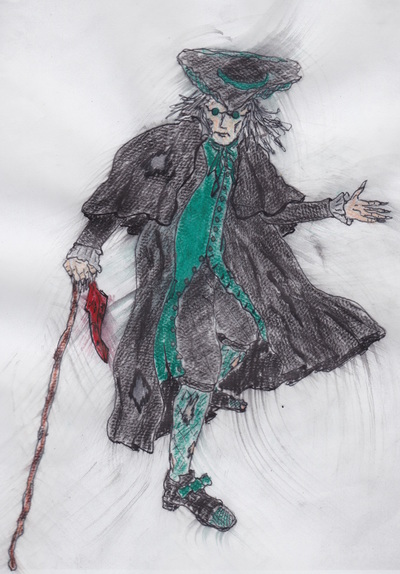 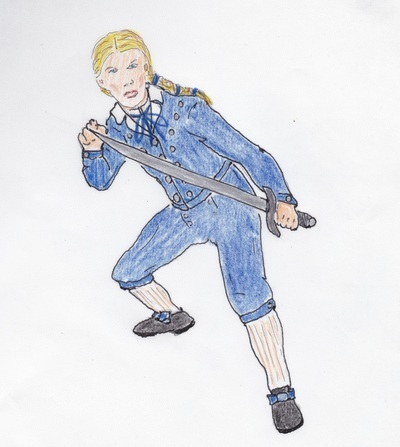 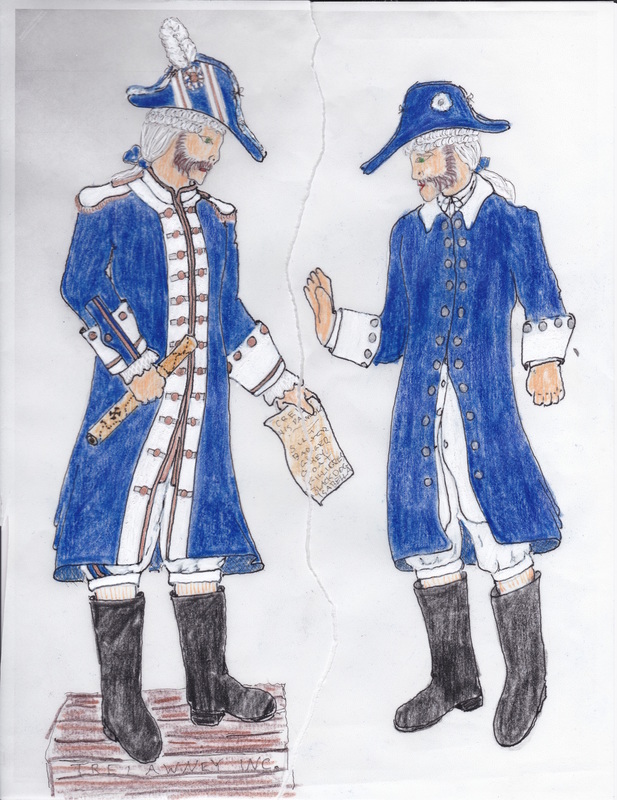 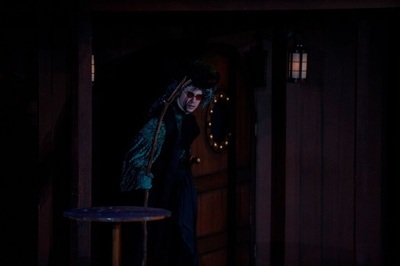 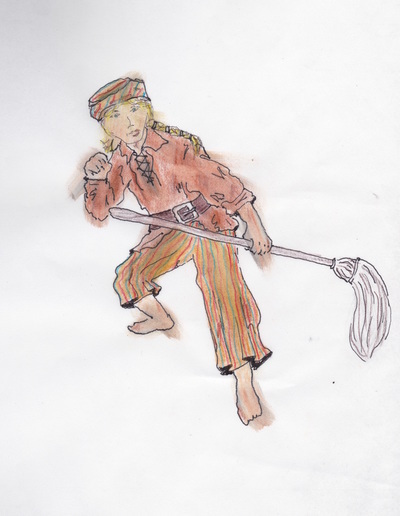 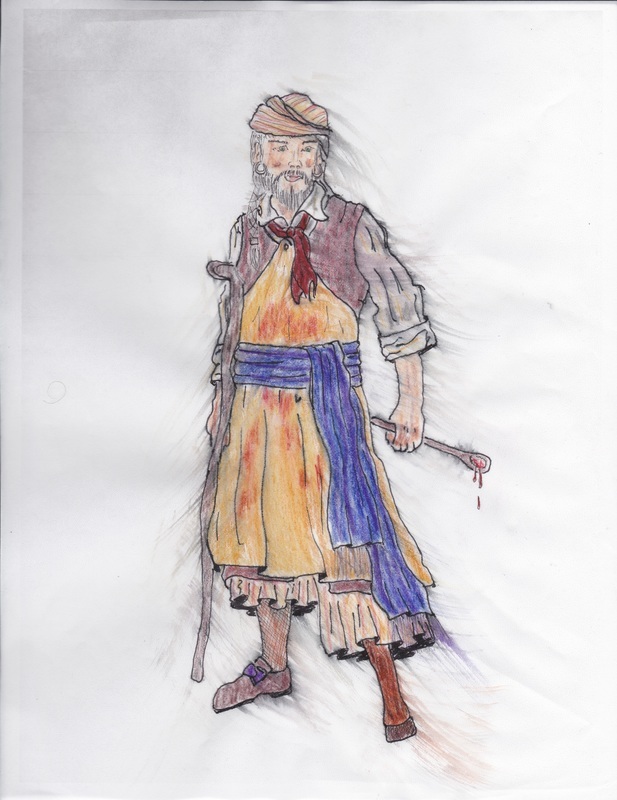 approached to design the costumes we sought a mix of cartoon and costume drama. Watching the students in Capilano University's Costuming for Stage and Screen program, under the mentorship of instructors Kim Bothen and Charlotte Burke, realize my designs was a true joy for the designer. 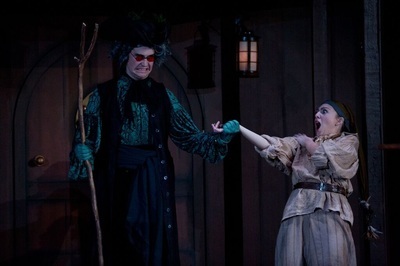 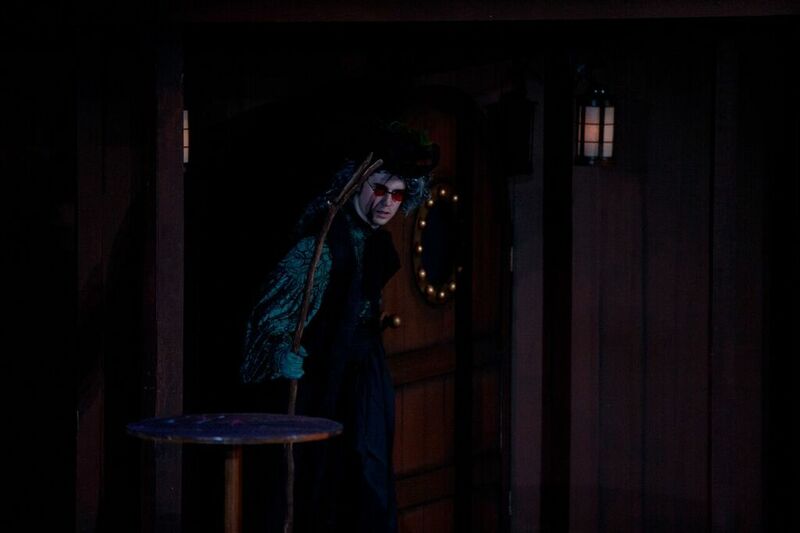 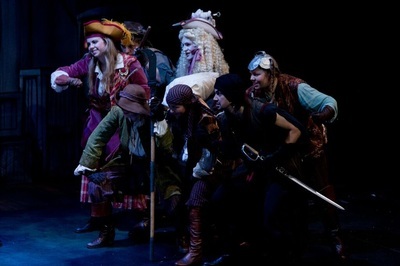 With over 35 costumes, many built from the ground up, a prosthetic boot, and brilliant wig work this represents the largest show I've ever done. A small selection of images is below - more available upon request. 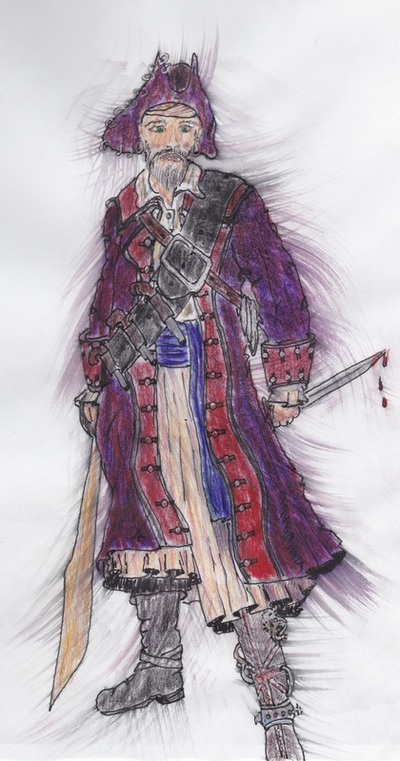 Sketch of Jim Hawkins aboard the Hispaniola. 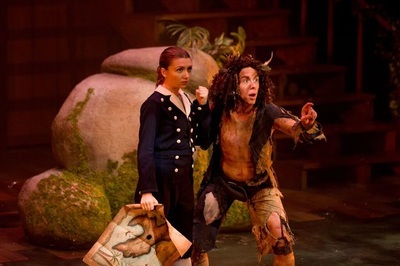 Jim Hawkins and Ben Gunn. 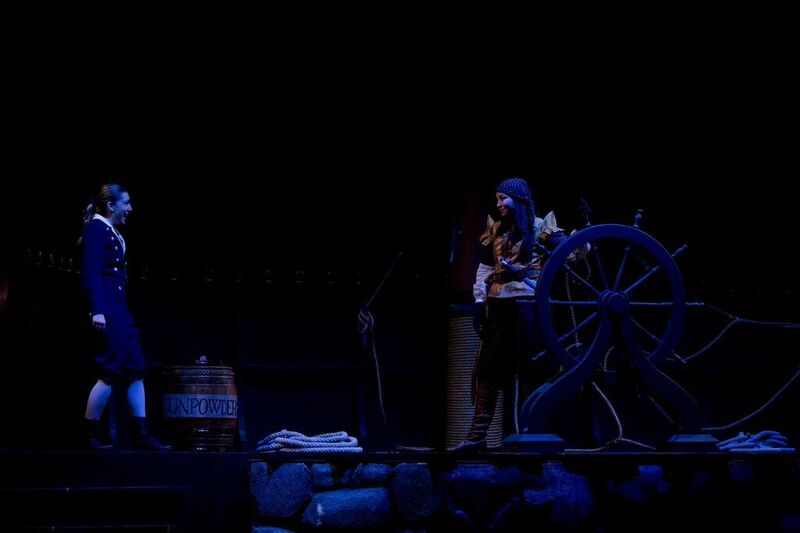 Jim Hawkins and Isabella Hands. 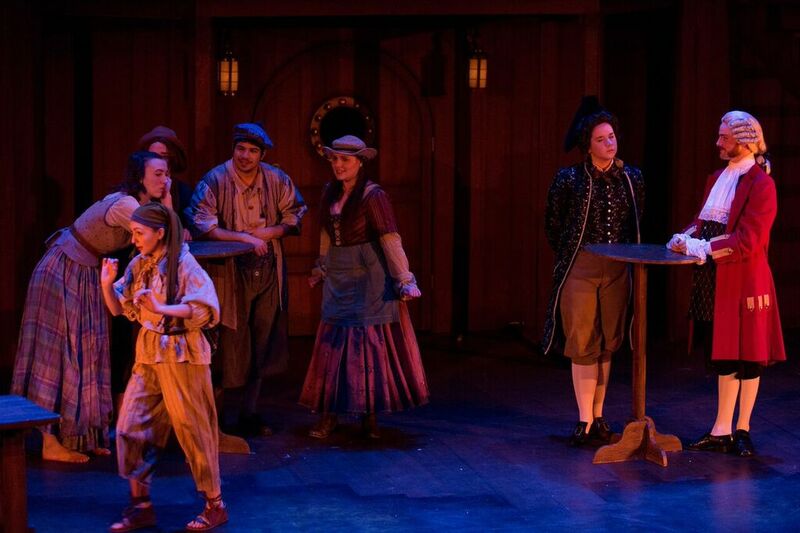 A motley crew of "seamen" appear as if by magic! Sketch of Long John Silver as "Barbecue" ships cook. 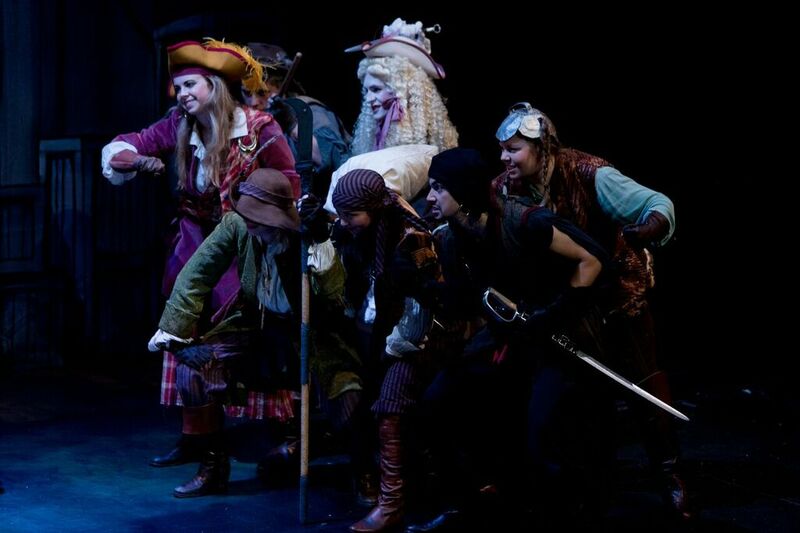 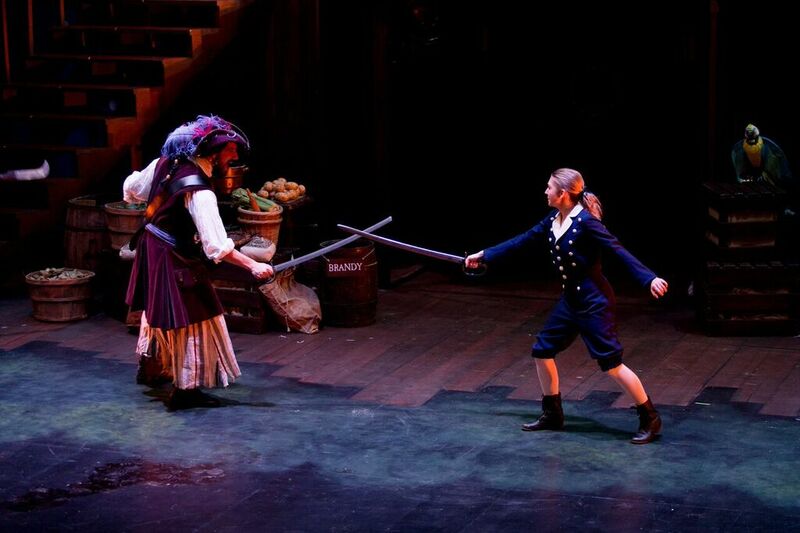 Long John Silver and Jim Hawkins cross swords! 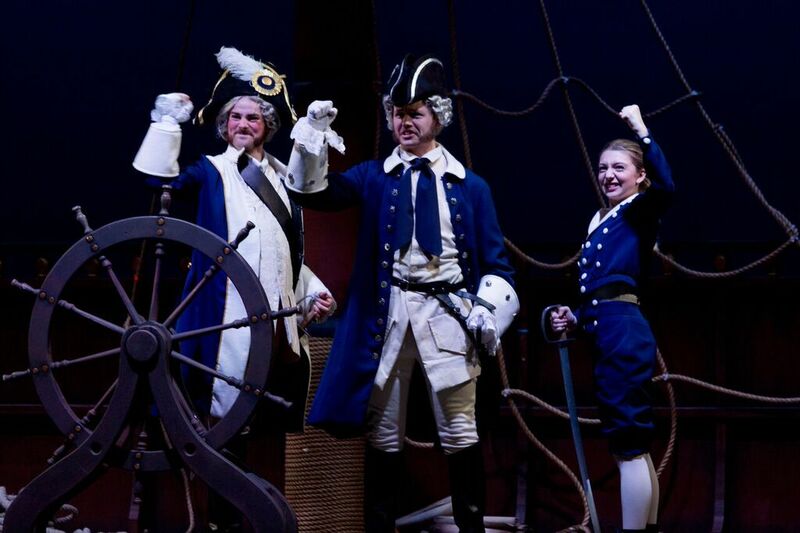 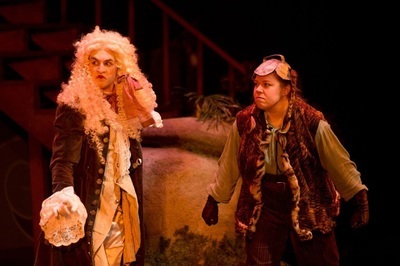 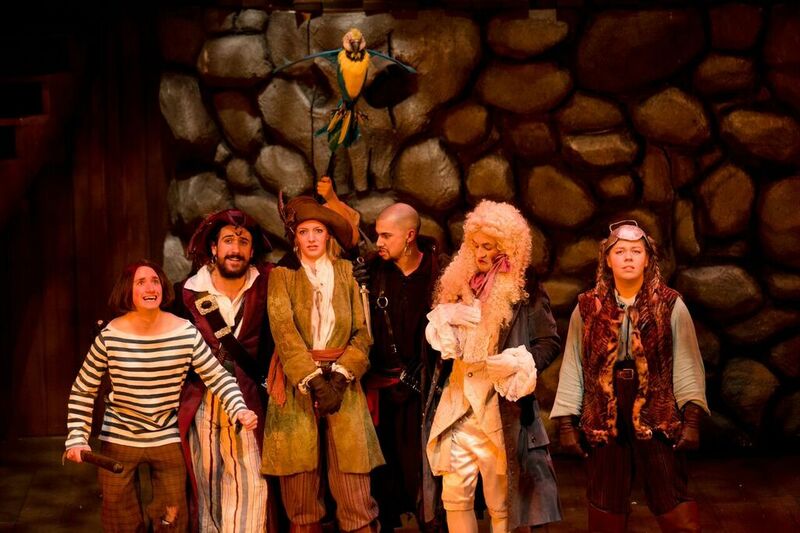 Squire Trelawney, Captain Smollett, and Jim Hawkins give a good British cheer! 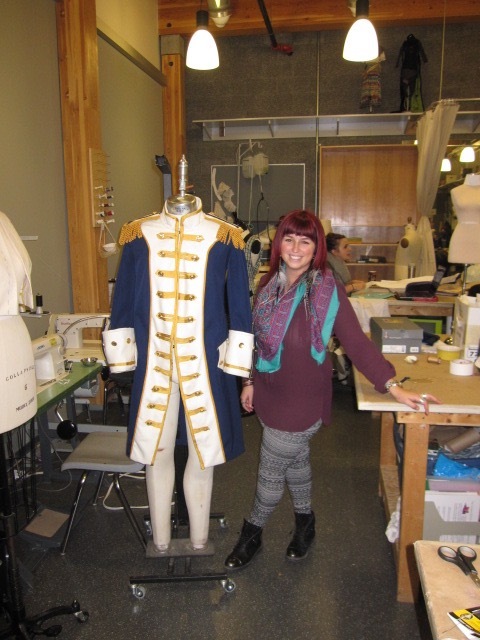 The Squire's "Admiral" coat, finished by Student Cutter Rachel Gueguen! Jim Hawkins at the Admiral Benbow (front), with l-r Silent Sue, Lucky Micky, Job Anderson, Red Ruth, Dr. Livesey, & Squire Trelawney. 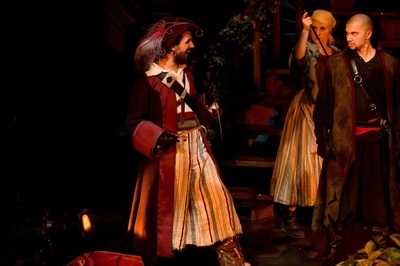 Long John Silver, The "parrot lady", & Black Dog. Sketch for Squire Trelawney & Captain Smollett aboard the Hispaniola. 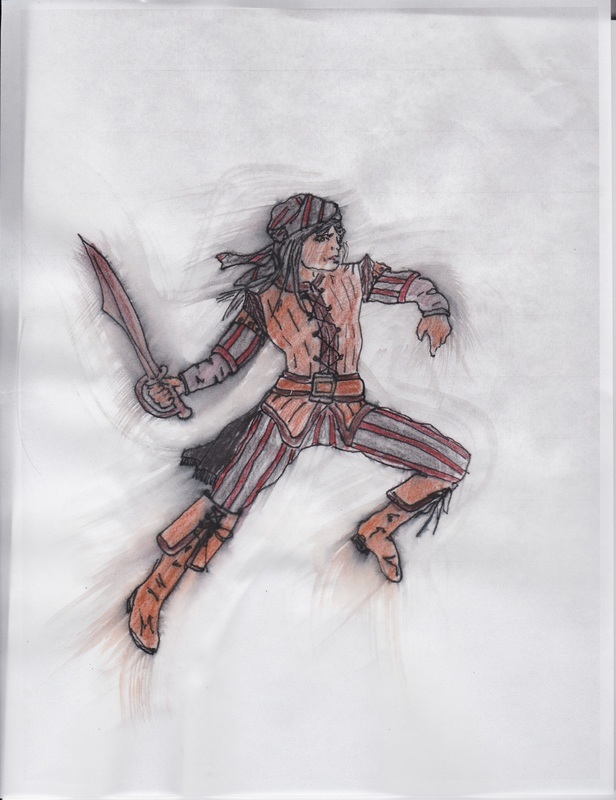 Sketch for Jim Hawkins at the Admiral Benbow.